Exciting news! 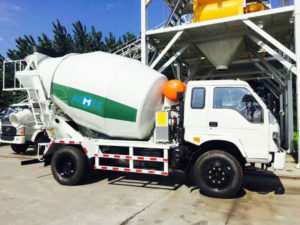 Aimix group 3.5m³ self loading concrete mixer truck for sale was ready to Tanzania. 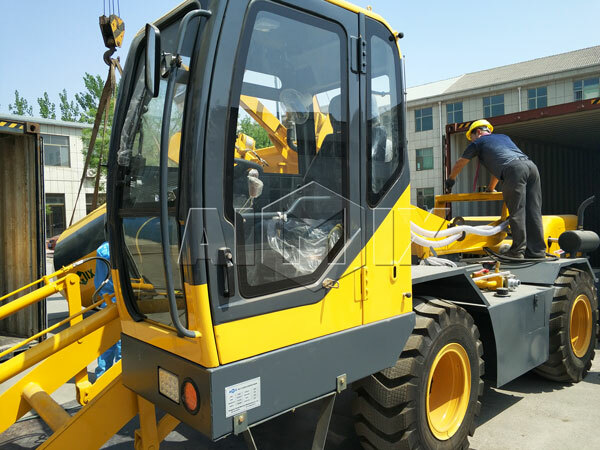 Our salesman had inspected all of parts and ensure the good quality. 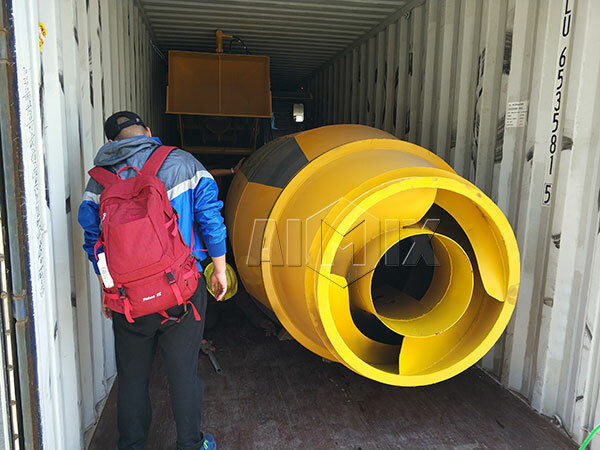 In construction project, self loading concrete mixer is an ideal choice, because it can rotate 270 degrees, which is more suitable for large engineering area, while general concrete mixing truck only rotates 180 degrees, but its volume is not more than concrete mixer trucks’. 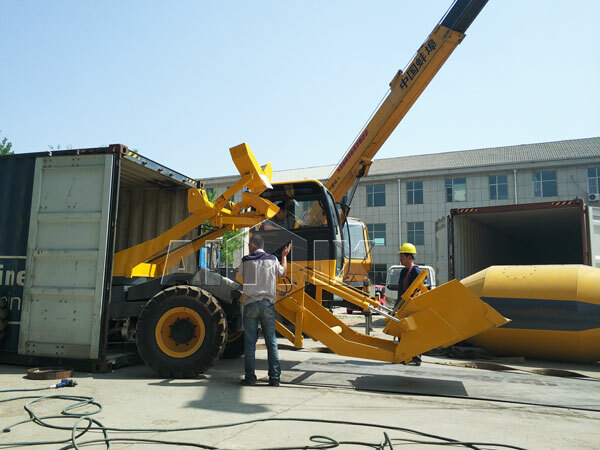 We can offer you o.35m³, 1.2m³, 2m³, 2.5m³, 3m³, 3.5m³ and 4m³. Perkins engine: Rated-power KW 83(111HP), And the engine mounted transversal on the rear. Transmission: Hydrostatic bosch rexroth. 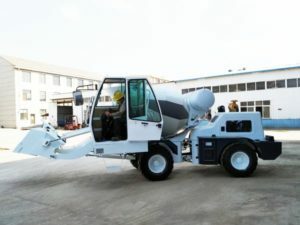 Pump and motor are connected to the differentials through a 2 speed reducer, 4 wheel drive and steering. Axles: Dana spicer with oil bath disc brakes and planetary reducers. High pressure water pump: Self-contained. 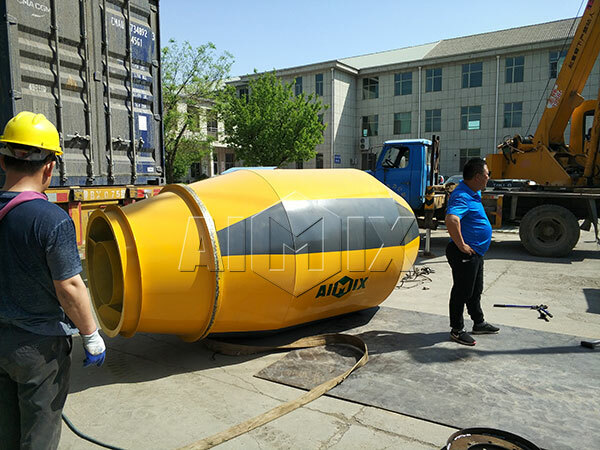 Hydraulic driven water pump, water meter, washing outlet 400t/min. 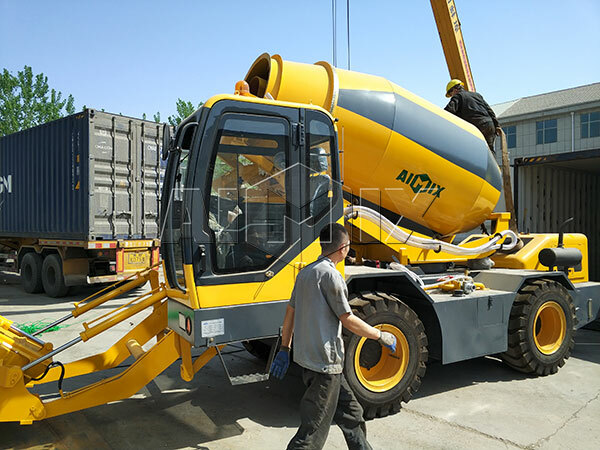 Safety: It is equipped with checking and block valves for maximum safety of the operator. 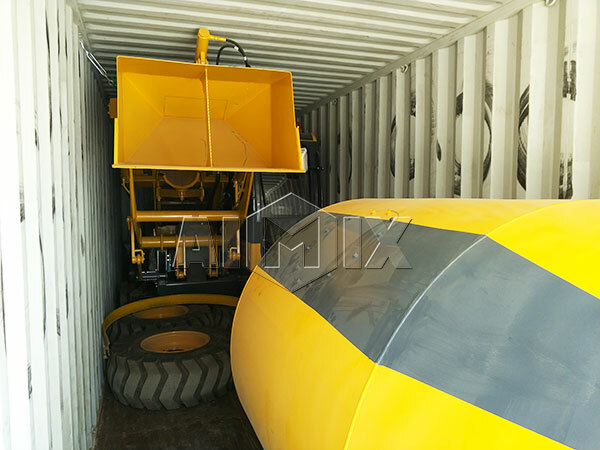 Self control avoids drum to slew if shovel’s arm is lifted. 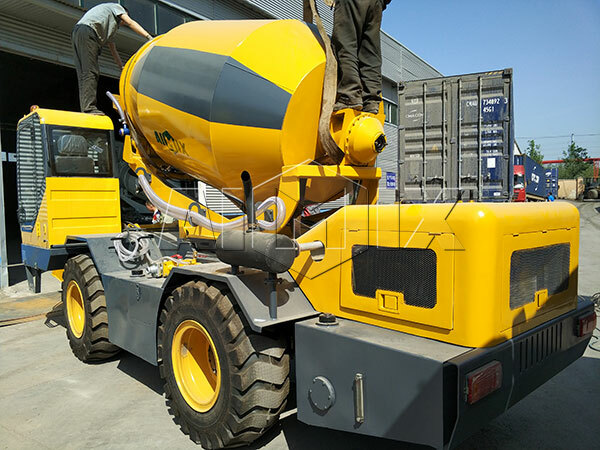 What’s more, concrete mixer truck for sale is also efficient concrete transportation, it has big volume and strong driving force, which can greatly reduce construction period, you can have a look.